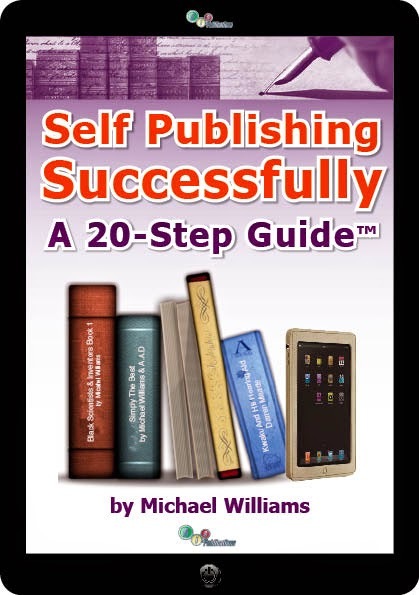 Those of you who have attended our courses should remember that we always stress that you know what your exit strategy plan is even before you start on your self-publishing journey. We also stress that you understand thoroughly the market that your book is intended for, that you Focus, Commit, Act and Don’t Give Up!. It disappoints me very much when I hear of anyone who has been on our courses and feel excited by what they have heard and learnt whilst they were there, but when they leave within a very short period of time their excitement and enthusiasm disappears. They loose their focus and then allow other things to become priority. This results in them becoming less committed to their project and even allowing naysayers to talk them out of their dreams. Some will try and fool themselves by saying that they will get back on it tomorrow, next week, next month and even next year. Well next year turns into 2 years, 5 years, 10 years and before they know it the dream of having their book published never happens and the sad fact was that no one stopped them from achieving their dream but them. Procrastination is the biggest killer of potential best-selling author’s dreams, it will steal away your dream without you even knowing it. Procrastination can happen for many reasons some of the most common, which I have found are confidence, fear, (I can’t do that, attitude), it’s too expensive, fear of failure and being criticized. I believe the procrastination reasons can all be summed up as a lack of CONFIDENCE. The best cure for lack of confidence is Get Up, Stand Up and TRY! If you make a mistake you can only learn from it and get better, I was once told that failure is just one half of success, this is something I have taken to heart and always try to remember when things don't go to plan - you can try this to. If you’re the type of person who thinks the courses are expensive; try to change your mindset and see it from the point of view of an investment in making your dream of being published a reality. If you have been on any of our courses don’t give up continue the momentum. If you have lost momentum come on the course again and refresh and regain momentum. If you have completed the 1 Day Intensive for African/ African-Caribbean Writers who want to self Publish Successfully and now wondering how your going to sell your book register for the How to Market and Sell your book(s) and Create the Demand. Bookmark this blog-site and return to it frequently as we will post up useful tips and advice. I hope this helps and I look forward to reading your book(s) soon. Please note we still have a few places on the last 2 BIS Publishing courses of 2011 also please take advantage of the Early Bird Prices which ends on 5th November. Labels: Reprint of a Nov 2011 article -A Message to BIS Publishing Courses Previous Attendees.